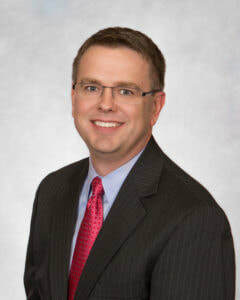 Dr. Daily grew up in Salina, Kansas and is a graduate of Salina South High School. He always had an interest in becoming a physician and spent time during high school shadowing Dr. Harbin. This helped to solidify his decision and work towards his goal of becoming an orthopedic surgeon. He joined Salina Ortho in 2007 after finishing his residency. Dr. Daily enjoys keeping up with advances in orthopedic surgery for his patients as well as educating and inspiring the next generation of physicians just as Dr. Harbin did for him. Dr. Daily is active in teaching orthopedics to KU-Salina medical students and KU-Wichita orthopedic residents.